Dr. Cynthia Co Ting Keh obtained her Doctorate of Dental Surgery degree from University of the Pacific Arthur Dugoni School of Dentistry, located in San Francisco, CA. She then continued her professional training and completed a one year general practice residency at Kings County Hospital in Brooklyn, NY. Born in San Francisco and raised in Taipei, Taiwan, Dr. Keh is fluent in both English and Mandarin. 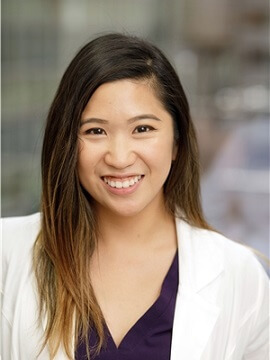 Dr. Keh knew she wanted to become a dentist at an early age, inspired both by her father, a general surgeon in Taipei, and her aunt, who is practicing dentistry in Los Angeles, CA. Because of her international upbringing, she is especially aware and keen of providing comfortable dental care to patients of all cultural backgrounds. Dr. Keh is trained in all phases of dentistry, including but not limited to cosmetic dentistry, restorative dentistry, oral surgery, and root canal therapy. She is dedicated to providing her patients with comprehensive and quality dental care, in order to help them achieve and maintain their goals in their oral health and hygiene.